Wool and Wheel: On spinning (and the beginnings of a fall quilt). 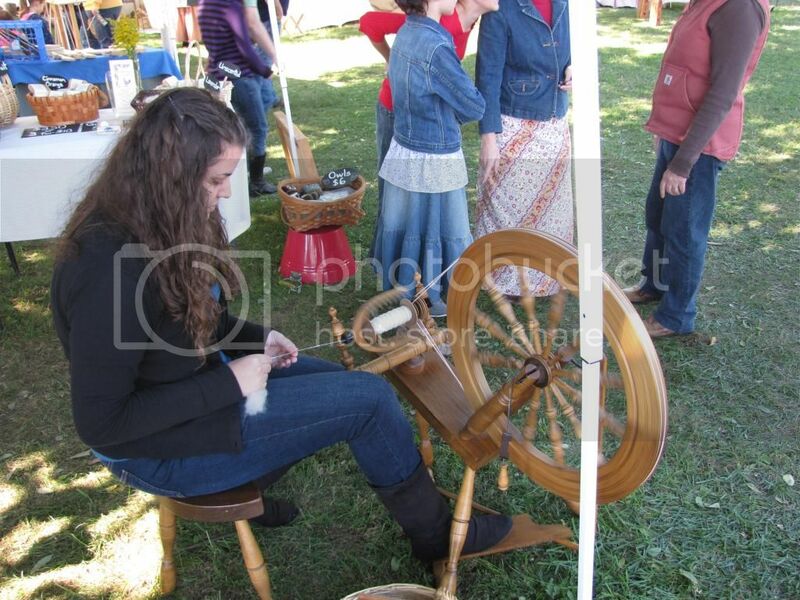 Last Saturday, I spent most of the day spinning at a local craft fair. 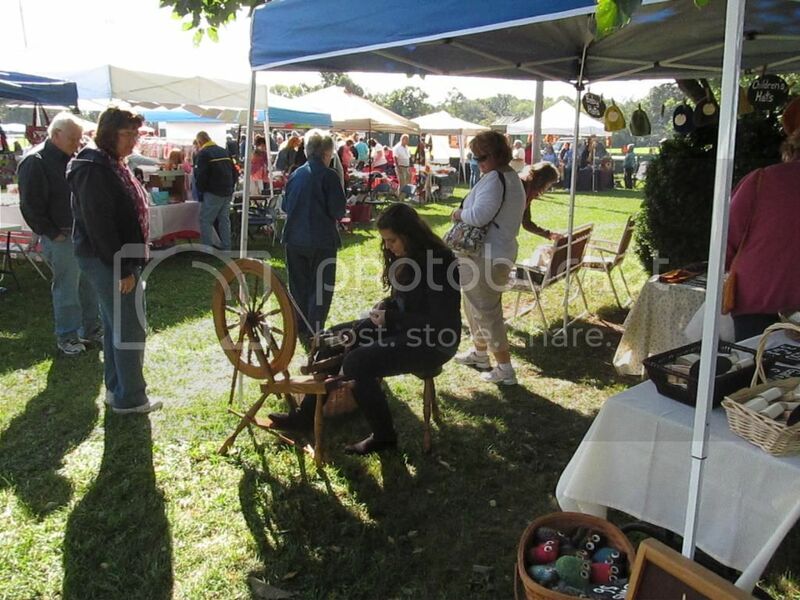 It's a festival that takes place every fall at a historical site, and they asked me to come and bring my spinning wheel. Since I was demonstrating, I could also have items for sale (without having to pay the vendor fee). 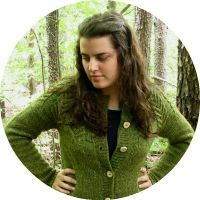 I had spent the last two months or so preparing for the festival: knitting items to take, making several batches of goat's milk soap, cleaning and carding some fleece to spin while I was there, etc. I'm not going to lie...I was pretty nervous about it. 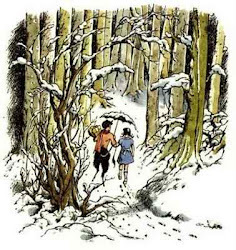 There was the basic fear of, am I going to sell anything at all? (It didn't help that the night before the festival, I had a dream that I only sold 2 bars of soap. That's it. I woke up terrified, ha!) But I also found it intimidating that I was going to be "the spinner" there. I'm not an expert by any means...I've only been spinning for two years and when I think about all there is to learn about spinning yarn, I feel like I know absolutely nothing. But it was such a good day. I sold more than two bars of soap. (Really, I sold fifty bars. Plus over half of the knitted items I took. And three skeins of my handspun yarn!) And I got to talk about spinning all day long. Here's the thing...I'm an introvert and I'm awkward and I am so bad at making small talk with people I don't know. Quite often I'm bad at making small talk with people I do know. Common misconceptions about spinning, which I gently corrected whenever I had the chance: 1) The drive band on the wheel is not the yarn that's being spun. It's completely separate. 2) I'm spinning wool, not cotton. 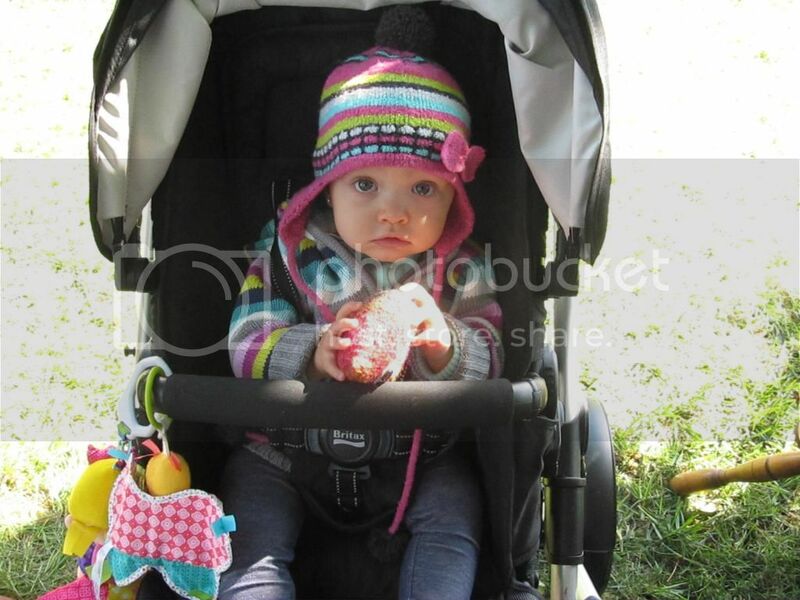 Now that the festival is over, I'm relieved that I don't have any crafty deadlines for a while, other than Stella's birthday sweater. I'm hoping to tackle some of the sewing and knitting projects I planned for FESA. 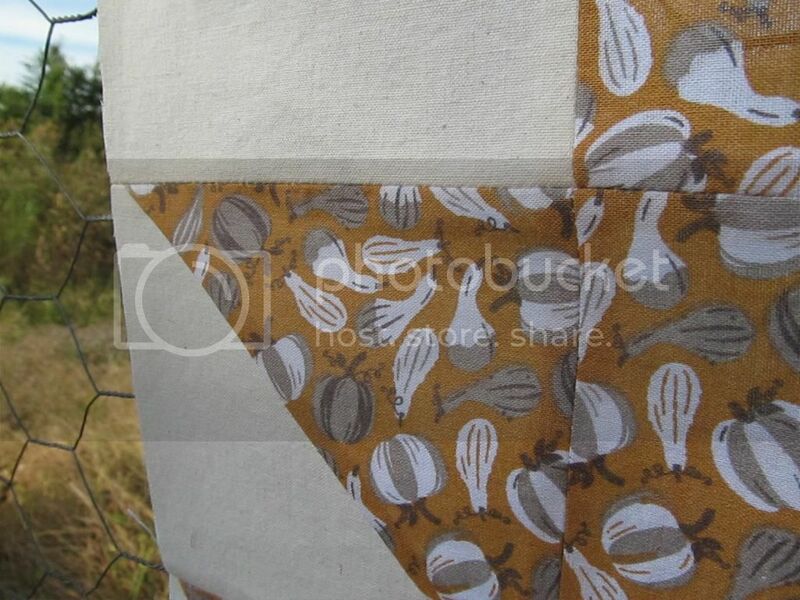 Oh, and I've decided to make a fall quilt. 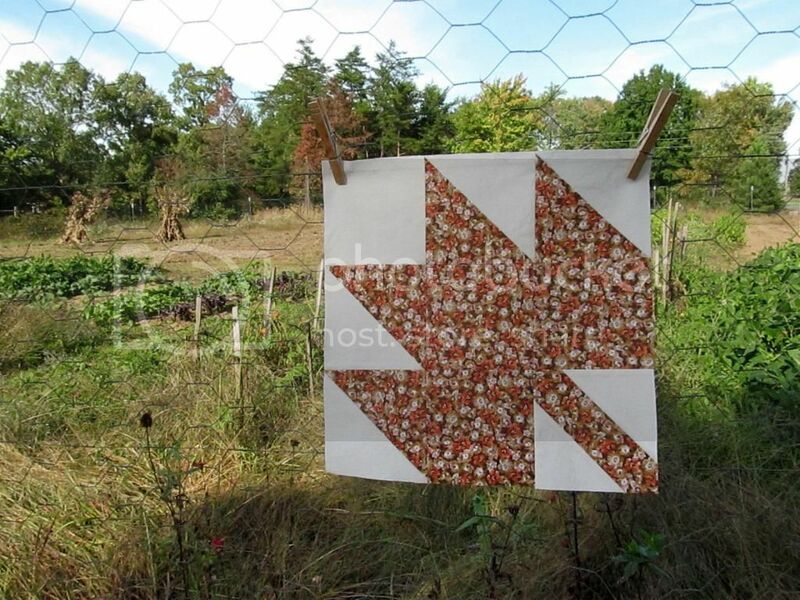 Not just an autumn-inspired quilt, but an all-out Modern Maples full of orange and brown and leaves and acorns and foxes and...squash? Anyway, I'm so excited about it. 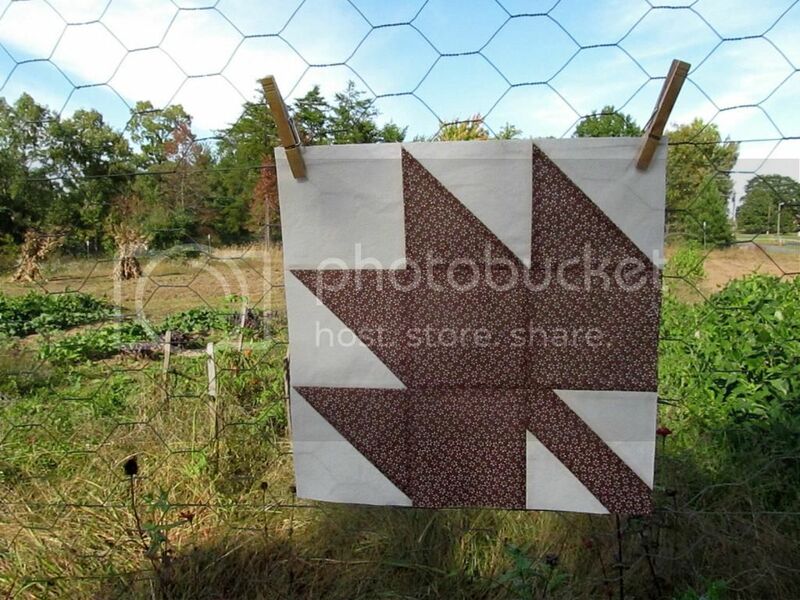 I made seven blocks this week and this is my first time doing any kind of piecing besides just sewing squares together. It's addicting, even though I'm not very good at precise cutting or precise 1/4" seams. So glad your show went tell! I'm sure it helps to have something to do with your hands while trying to talk to people. Thanks! Yes, I almost mentioned that, ha. It did help to have my hands busy. I'm very introverted, too, and it's true that if we're not engaging in small talk... (I hate small talk like you wouldn't believe)... and instead are speaking of something that interests us we start to come out of our shells. Glad everything went well for you. That must have been such a grand feeling. Congratulations! 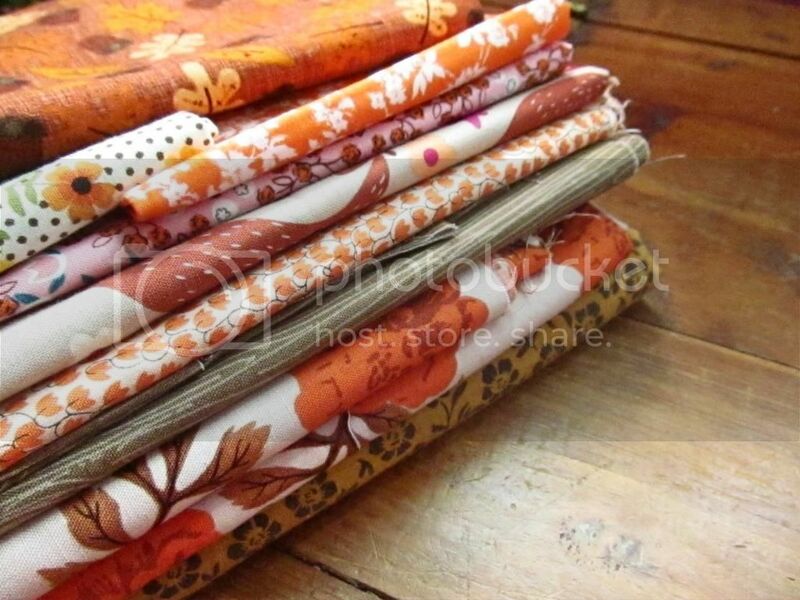 The fabrics that you chose for your fall quilt are gorgeous. I can't wait to see it finished - especially the fox blocks! Sounds like it was a good experience! That's awesome that you sold so much. I so know what you mean about not being able to make small talk with people; I'm the exact same way. That was one of the hardest parts for me when I started my job in retail last fall, pushing myself to help customers. It's hard when you're an introvert! But now it comes much easier for me, even if I don't always love it. I was relieved to sell more than I did in my dream. :) I know, it is really hard for introverts to make small talk!